Visited on: 25th June, 2016, 1st September, 2016 and 10th December, 2016. Sikkal is situated at a distance of about 7 kms from Nagapatinam on the Nagapatinam to Thiruvarur route. From Thiruvarur, it is about 20 kms. There is a railway station in Sikkal (on the Nagapattinam to Thiruvarur line) and this temple is one kilometre away from it. Other Devara Paadal Petra Shiva Sthalams near this place are – Nagapattinam, Keezhvelur (Keevalur) and Thevur. This is one of the 276 Devara Paadal Petra Shiva Sthalams and 83rd Shiva Sthalam in Chozha Nadu on Southern bank of the river Cauvery (Thenkarai). 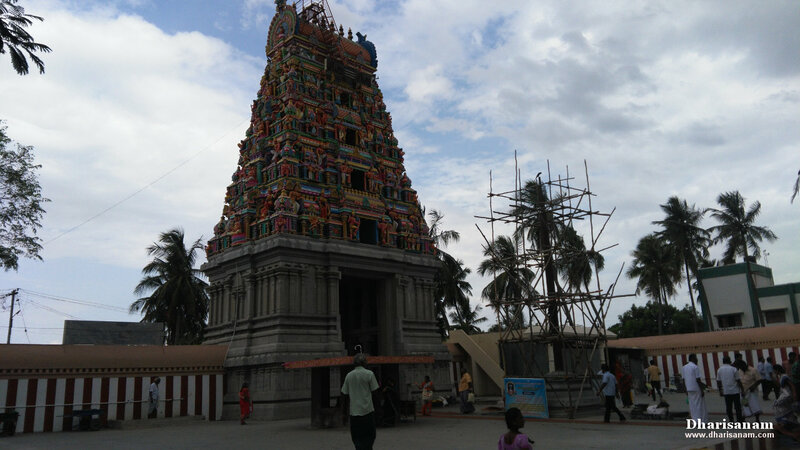 This temple is very famous for its Murugan, who is praised as “Sikkal Singaravelar”. “Soorasamharam” is an important festival celebrated in this temple. There is a Maragatha lingam here. This is one of the Shakti Peedams. This east facing temple has three corridors and its main tower (Rajagopuram) has 7-tiers. This ancient temple is believed to have been built by the Chola King Muchukunda. There are 8 stone inscriptions in this temple which date back to the periods of kings Jadavarman Veerapandian, Sadasiva Maharayar and Veerabhupathy Achudadeva Maharayar. 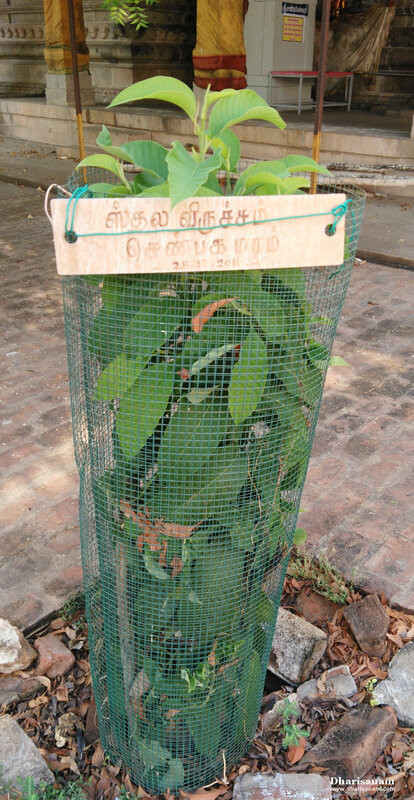 The historical name of this place is Mallikaaranyam (Malligai means jasmine plant and aranyam means forest). There are 28 temples where shrines of Lord Shiva and Lord Mahavishnu are housed in the same complex. Sikkal is one of them. Visited on: March 31, 2018 and June 11, 2018. Thirucherai is situated at a distance of about 15 kms from Kumbakonam on the Kumbakonam - Nachiyar Koil - Kudavasal route. It is about 5 kms from Nachiyar koil and 4 kms from Kudavasal. Other Devara Paadal Petra Shiva Sthalams near this place are – Kudavasal, Nalur Mayanam, Kaduvaikarai Puthur (Andankoil), Thiru Kollamputhur, Penu Perunthurai, Naraiyur Siththecharam, Arisirkarai Puthur and Sivapuram. The famous Vaishnava temple, Sri Saranatha Perumal, is also located in Thirucherai. This temple was praised by Saint Thirumangai Azwar in his hymn “Mangala Saasanam”. This is one of the 276 Devara Paadal Petra Shiva Sthalams and 95th Shiva Sthalam on the Southern bank of the river Cauveri in Chozha Nadu (Thenkarai). This temple is very famous as a “Kadan Nivarthi Sthalam” (to remove indebtedness). The last consecration ceremony (Maha Kumbabishekam) took place on 22.01.2018 and prior to that on 04.04.2004 and 18.03.1992. 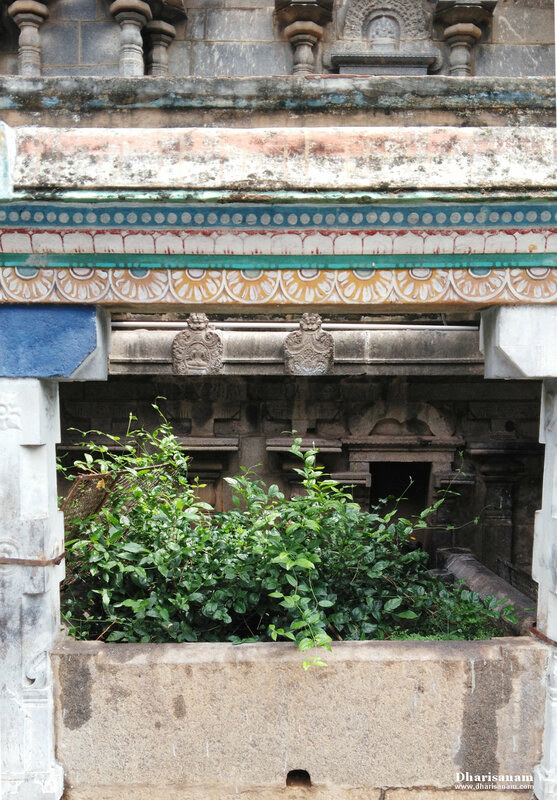 There are three famous “Rina Vimochana Lingeswarar” temples in the Devara Paadal Petra Sthalams. They are - Thiruvarur, Thirucherai (this temple) and Achalpuram. This temple is situated at the southern bank of the river Mudikondan, a tributary of the river Cauvery. 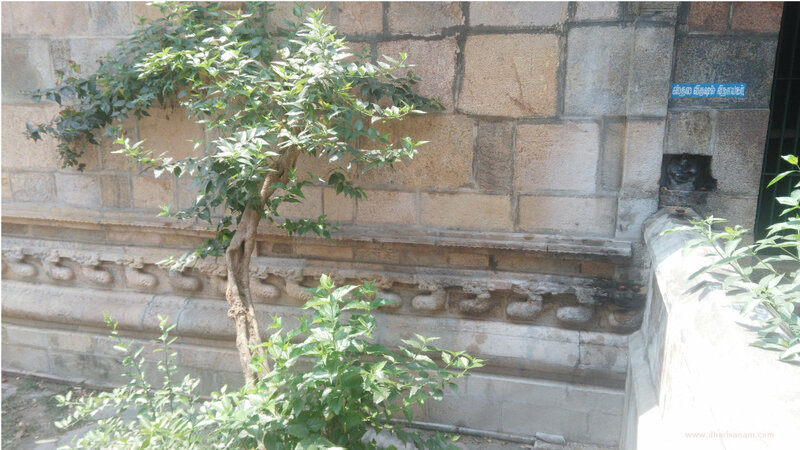 There are two stone inscriptions in this temple which date back to the period of Chola King Kulothungan. It is believed that this temple was built by him. This temple is also known as “Udayar Koil”. Sri Swarnapureeswarar Temple at Kaduvaikarai Puthur (Aandankoil). Kaduvaikarai Puthur (Andan koil) is situated at a distance of about 12 kms from Kumbakonam on the Kumbakonam – Kudavasal – Valangaiman route. It is about 2 kms southeast of Valangaiman. Other Devara Paadal Petra Shiva Sthalams near this place are – Thirucherai, Kudavasal, Thalaiyalangaadu, Peruvelur, Karaveeram, Nalur Mayanam, Thiru Kollamputhur, Penu Perunthurai, Naraiyur Siththecharam, Arisirkarai Puthur, Sivapuram, Karukkudi and Kalayanallur. 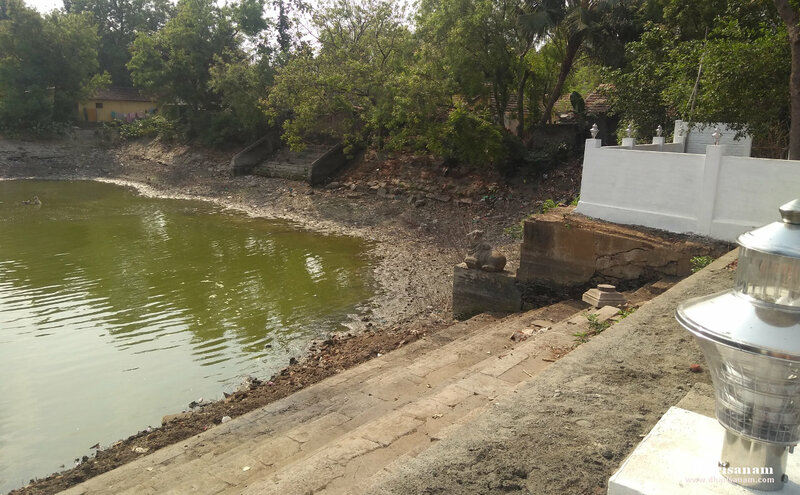 This is one of the 276 Devara Paadal Petra Shiva Sthalams and 97th Shiva Sthalam on the Southern bank of the river Cauveri in Chozha Nadu (Thenkarai). 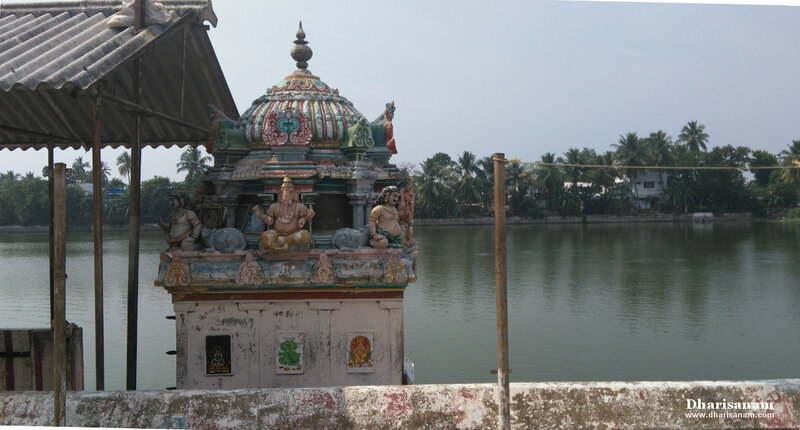 This ancient temple is on the banks of the river Kudamurutti. Earlier this river’s name was “Kaduvai”, hence this place gets the name Kaduvai Karai Puthur. “Karai” means bank and “Puthur” means village in Tamil. However, now this place is called Andankoil. Sri Siddhanatheswarar Temple at Thirunaraiyur (Nachiar Koil). Thiru Naraiyur is situated at a distance of about 9 kms from Kumbakonam on the Kumbakonam to Nachiyar Koil route. Naraiyur is in the outskirts of Nachiyar Koil. Other Devara Paadal Petra Shiva Sthalams near this place are – Kalayanallur, Karukkudi, Sivapuram, Kudavasal, Thirucherai, Arisirkarai Puthur, Penu Perunthurai, Thalaiyalangaadu, Peruvelur, Karaveeram, Nalur Mayanam, Kaduvaikarai Puthur (Andankoil) and Thiru Kollamputhur. This is one of the 276 Devara Paadal Petra Shiva Sthalams and 65th Shiva Sthalam on the Southern bank of the river Cauveri in Chozha Nadu (Thenkarai). This is Goddess Mahalakshmi’s “Avathara” Sthalam. 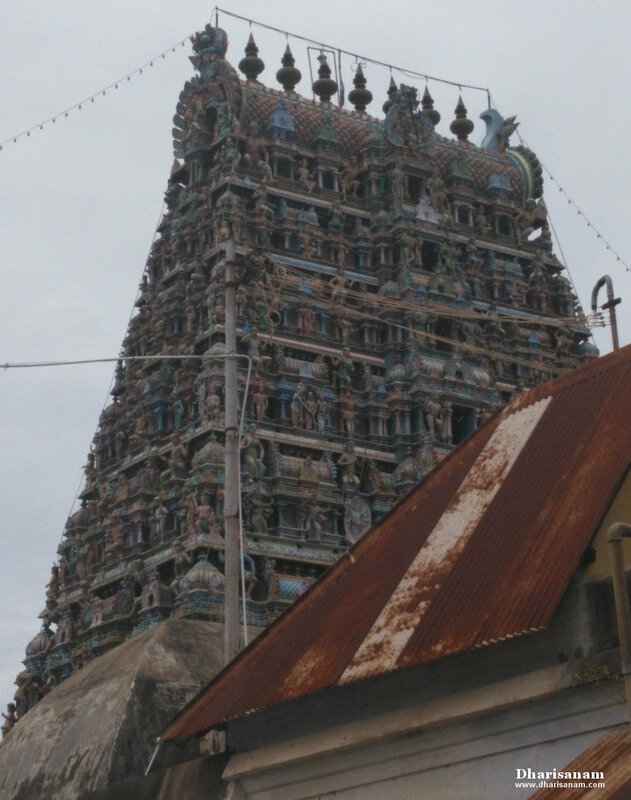 This west facing temple has two corridors and its main tower (Rajagopuram) has 5-tiers. The last consecration ceremony (Kumbabishekam) took place on 13.12.1999. This temple is believed to have been built by the Cholas. There are 24 stone inscriptions in this temple which date back to the periods of Rajaraja Cholan-I to Kulothungan-III. This temple is called “Siddheecharam”. The historical names of this place are Sidheeswaram, Suganthavanam, Narapuram, Kuberapuram and Brahmapuram. Sri Sivagurunathaswamy Temple at Thiru Sivapuram. Visited on: March 31, 2018. Sivapuram is situated at a distance of about 7 kms from Kumbakonam on the Kumbakonam -Sakkottai - Thiruvarur route. From Sakkottai, take the diversion road to Sivapuram. Sivapuram is at a distance about 2.5 kms from the Sakkottai “Velaanmai Virivakka Myam”. 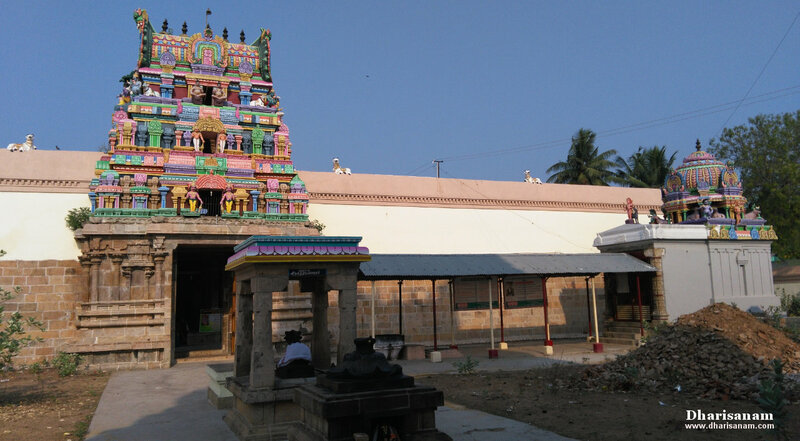 Other Devara Paadal Petra Shiva Sthalams near this place are – Kalayanallur, Karukkudi, Kudavasal, Naraiyur Siddheecharam, Thirucherai, Arisirkarai Puthur, Penu Perunthurai, Thalaiyalangaadu, Peruvelur, Karaveeram, Nalur Mayanam, Kaduvaikarai Puthur (Andankoil) and Thiru Kollamputhur. This is one of the 276 Devara Paadal Petra Shiva Sthalams and 67th Shiva Sthalam on the Southern bank of the river Cauveri in Chozha Nadu (Thenkarai). This is the only Shiva temple where devotees perform “Angapradakshinam”. There is no flag post (dwajasthambam) here. Saint Manickavasakar has also rendered pathigam praising the lord here. The significance of this place is that its name – “Sivapuram” itself contains the name of Lord Shiva. 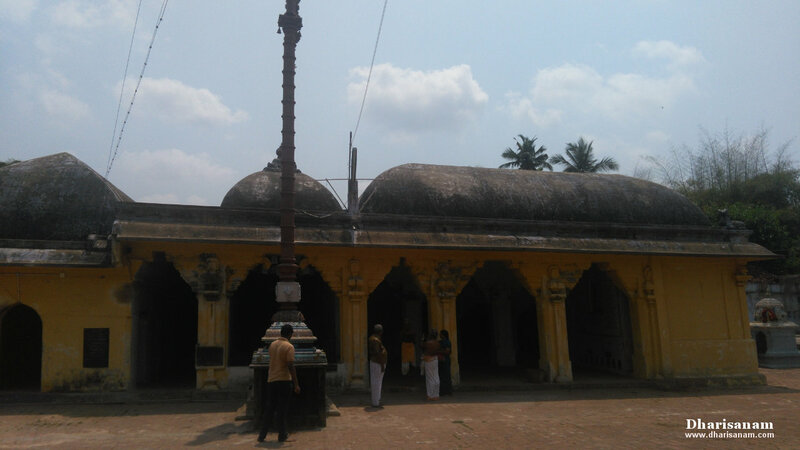 The historical names of this place are Kuberapuram, Bhookailayam and Sanbakaaranyam. Sri Brahmapureeswarar Temple at Thiru Karukkudi (Marudhantha Nallur). Visited on: 30th September, 2017 and 31st March, 2018. Thiru Karukkudi is situated at a distance of about 7 kms south-east of Kumbakonam on the Kumbakonam to Mannarkudi route. 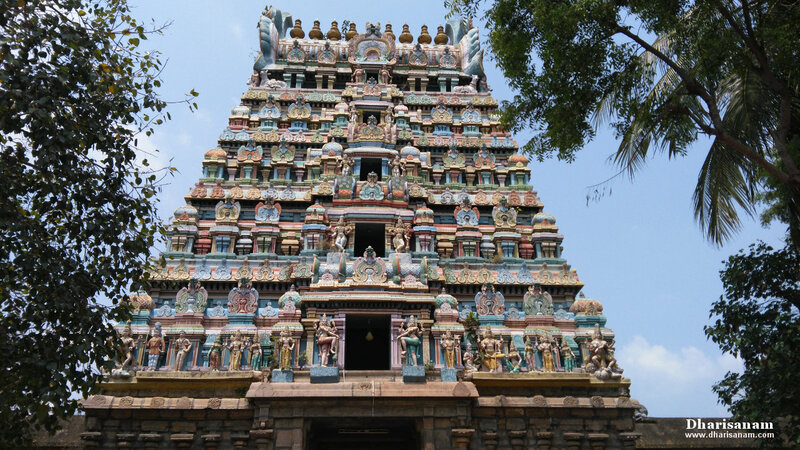 Take the diversion road after Sakkottai and travel for about one kilometre to reach this temple. Other Devara Paadal Petra Shiva Sthalams near this place are – Kalayanallur, Sivapuram, Kudavasal, Naraiyur Siddheecharam, Thirucherai, Arisirkarai Puthur, Penu Perunthurai, Thalaiyalangaadu, Peruvelur, Karaveeram, Nalur Mayanam, Kaduvaikarai Puthur (Andankoil) and Thiru Kollamputhur. This is one of the 276 Devara Paadal Petra Shiva Sthalams and 69th Shiva Sthalam on the Southern bank of the river Cauveri in Chozha Nadu (Thenkarai). 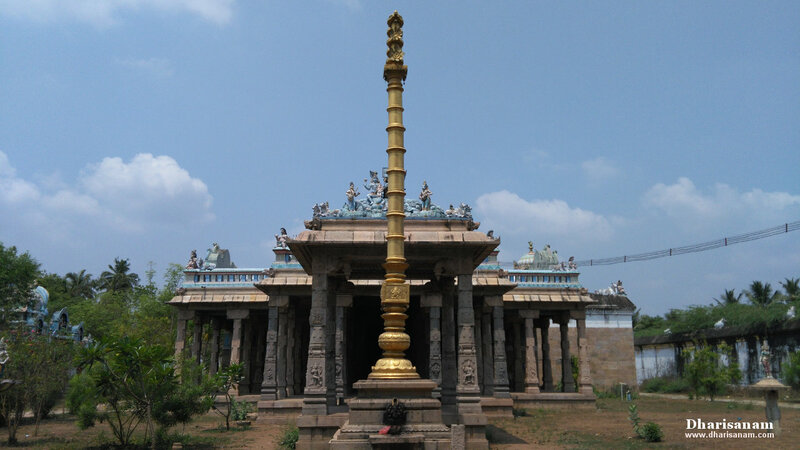 This east facing temple has a single corridor and there is no main tower (Rajagopuram). However, it has a beautiful arch at the entrance with sculptures of Sri Ardhanareeswarar and his bull mount. The last consecration ceremony (Maha Kumbabishekam) took place on 11.06.2011 and prior to that on 06.07.2003. This is a relatively small temple with many gardens inside its campus. The historical name of this place is Karukkudi but now it is known as Marudhanthanallur (or Marudhanallur). In all the stanzas of his hymn, Saint Thirugnanasambanthar refers to this place as Karukkudi. There are some stone inscriptions here. However, they are in a damaged condition and haven’t been arranged properly. The name of “Thirubuvana Chakravarthy” Chola King Kulothungan-III is mentioned in one of these inscriptions.